Jimmy Cricket made friends with a former cook for the Queen and an American who performs Elton John tributes during his week’s stay on a cruise ship. 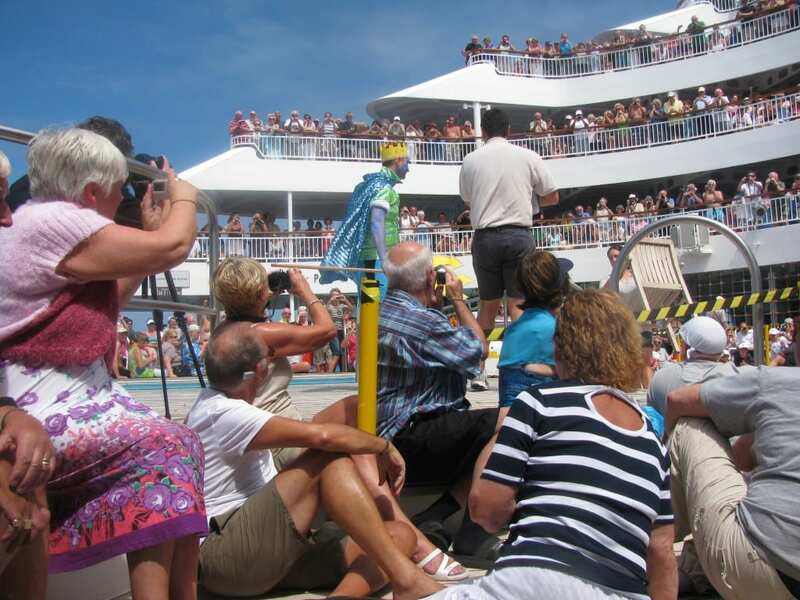 The famous Irish comedian appeared on a leg of a world cruise aboard P&O’s Aurora cruiseliner, between Honolulu in Hawaii and Papeete in Tahiti. He performed in two shows over the seven nights he and wife May spent on board, mainly while the ship was at sea. After leaving the ship, they had an overnight stay on Tahiti, before doing two overnight flights in order to get back to the UK. – Colin Fry, who lives in Harrogate, was the Queen’s Cook for five years and was on the Aurora giving talks on this role. 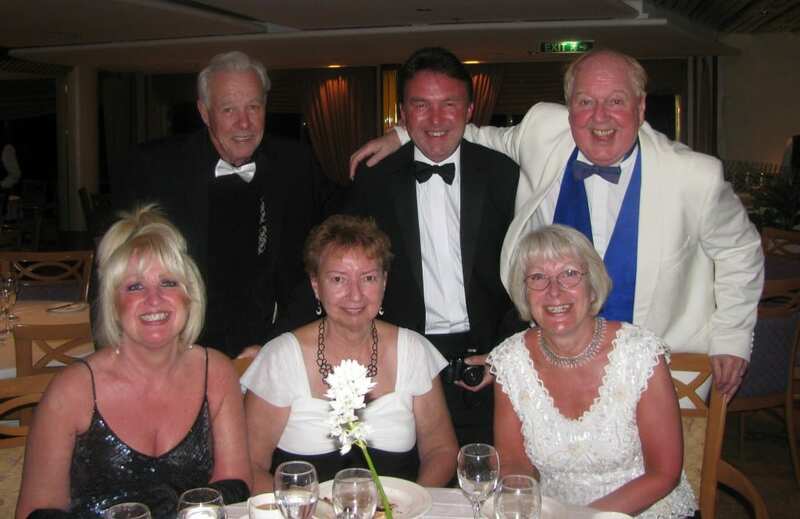 Irish comedian Jimmy Cricket and his wife May witnessed a traditional custom during their time aboard P&O’s Aurora cruiseliner. They were on a leg of a world cruise between Honolulu in Hawaii and Papeete in Tahiti. The ritual shown in the photo above involves the captain and the crew of the ship asking for King Neptune’s permission as the ship crosses the Equator. Equator-crossing ceremonies, usually featuring King Neptune, are sometimes carried out for passengers’ entertainment on civilian ocean liners and cruise ships. They are also performed in the merchant navy and aboard sail training ships. In the bottom picture, Jimmy is pictured alongside his dining companions which was an eclectic mix! Next to Jimmy’s wife, May, and on the far side are Emile and Gloria from Canada. Next to Jimmy are Peter and Sue from near Wolverhampton. Jimmy and May flew over to Honolulu and stayed overnight in the resort of Waikiki, before boarding the ship the next day. He performed in two shows over the seven nights they spent on board, mainly while the ship was at sea. After leaving the ship, they had an overnight stay on Tahiti, before doing two overnight flights in order to get back to the UK. And after arriving back in their hometown of Rochdale, Jimmy only had one day off before appearing at a comedy festival at Porthill Park Cricket Club in Newcastle-under-Lyme. Life’s a cruise for Jimmy! 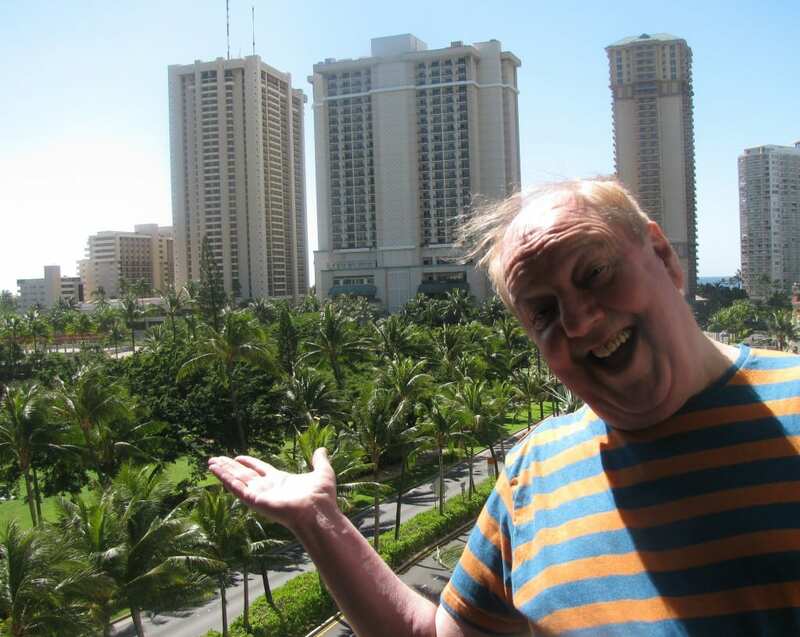 Jimmy Cricket had a great time on his recent trip around the Pacific Ocean – and here are the photos to prove it! The Irish entertainer appeared on a leg of a world cruise aboard P&O’s Aurora cruiseliner, between Honolulu in Hawaii and Papeete in Tahiti. Jimmy flew over to Honolulu and stayed overnight in the resort of Waikiki, before boarding the ship the next day. Both he and wife May enjoyed their stay on the island of Hawaii and it was a relaxing time for both of them after quite a long journey over from Manchester, which included three flights and stopovers in Atlanta and Los Angeles. He performed in two shows over the seven nights they spent on board, mainly while the ship was at sea. Jimmy Cricket’s career as a top entertainer is certainly a varied one. The famous Irish comedian has been working for the past few days on board the P&O cruiseliner called the Aurora, which is described as a family-friendly, mid-sized ship (http://www.pocruises.com/cruise-ships/aurora/ship-overview/). Jimmy joined the ship, which is on an around-the-world voyage, on Monday morning in the city of Honolulu on the island of Hawaii. He is expected to perform in two shows over the seven nights he will be spending on board, mainly while the ship is at sea. Jimmy’s final destination will be when the Aurora stops off at the port of Papeete, the capital city of the South Sea island of Tahiti. Once he leaves the ship he has an overnight stay on Tahiti, before he has to do two overnight flights in order to get back to the UK! However, once back in Rochdale he only has one day off, because he will then be appearing at a comedy festival at Porthill Park Cricket Club in Newcastle-under-Lyme.